ASTM E96 details two primary methods of testing. The first is the Desiccant Method. The Desiccant Method utilizes a test specimen sealed to the open mouth of a test dish containing a desiccant with the assembly placed in a controlled atmosphere. Periodic weighing of the sample determines the rate of water movement through the specimen into the desiccant. Spray-Lock Concrete Protection (SCP) does not consider this method as most appropriate for use with concrete because concrete almost always contains water that is nonevaporable, held in reserve for later hydration (chemical reaction). This nonevaporable water may be extracted artificially with a desiccant and provide false moisture transmission readings. The second method of testing involves the use of a dish that contains distilled water that is affixed to the specimen. The specimen and dish are exposed to a controlled environment where the water moves through the specimen in vapor form, allowing calculation of water movement. SCP selected this method as the nearest to actual conditions in the field where water vapor movement from below a concrete slab to the top of the slab is most critical for flooring manufacturers and installers. 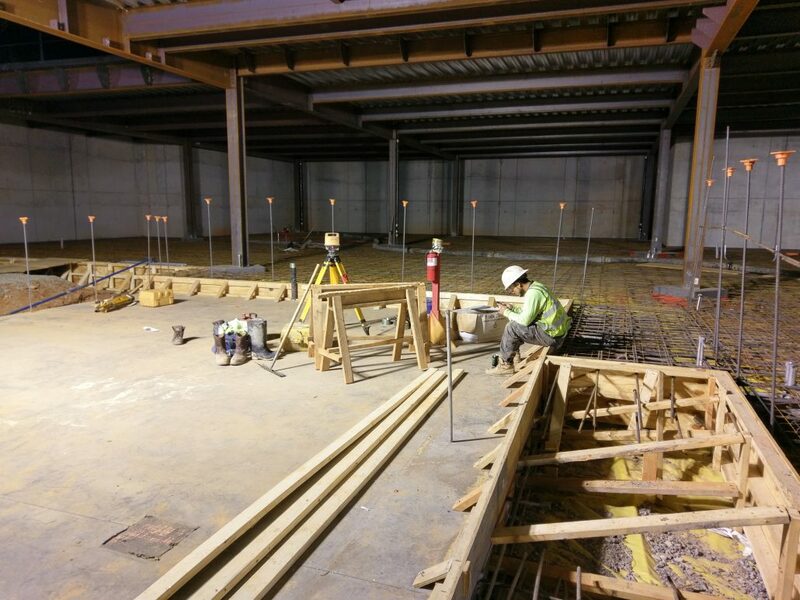 A 1 inch concrete slab thickness was chosen to enable calculations within the normal time frame of the testing regime. Although greater thicknesses could be tested, the time for the test to run would have been increased considerably. The specified relative humidity in the test chamber is 50 +/- 2%. The specified temperature is 100 +/- 1° F (38 +/- 1° C). An air velocity of 0.066 and 1 ft./sec (0.02 and 0.30 m/s) is specified in the test chamber. E96 allows for extreme humidity, if desired, and temperatures between 73.4° F (23° C) and 80° F (26.7° C). The specified, rather than alternate, test values for temperature and humidity were utilized for the testing under consideration. SCP decided to use the second test method utilizing a dish and distilled water. After the test method to use, a secondary decision then had to be made whether to test with one side of the specimen being wet or not. An additional consideration was that of isolating the effects of the SCP concrete treatment on the water vapor transmission of the concrete. To remove the possible effects of capillary action with liquid water, and to isolate the water vapor transmission only, the decision was made to test specimens that were dry on both sides at the beginning of the test. The test results presented by SCP for water vapor transmission values are compared to a control specimen that was tested following the same procedure and at the same time as the experimental samples. The calculations used to determine water vapor transmission are also the same, and are detailed in section 13 of the standard. When interpreting results, consideration should be given to the statement contained in section 1 of the standard: “Agreement should not be expected between results obtained by different methods.” Of additional importance is that the laboratory conditions described above were chosen to best test the efficacy of the treatment to reduce water vapor transmission, and they likely will not mirror exact performance in the field where environmental conditions, the concrete mix used, and the concrete thickness will all vary considerably from laboratory conditions.